Tonight’s show had the dubious honour of being the shortest Curveballs ever. Blame the snow for that. Despite this, it was probably the busiest hour and a quarter (there abouts) the show’s ever had! 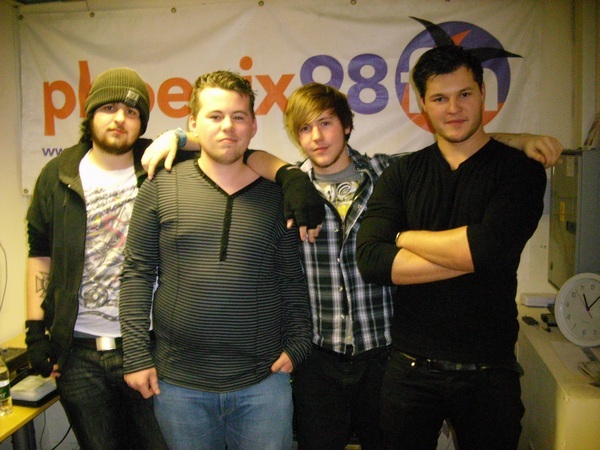 Memories Forgotten (l-r): Matt (guitar), Scott (vocals/guitar), Sam (drums), Alex (bass). Joining me in the studio tonight were locals Memories Forgotten. They’ve had a few line-up changes in the 18 months since their first appearance on the show, but have showed no signs of let-up, with a rocking new EP Light On and plenty of recent appearances on the local live scene too. Their next gig is at the Bitter End in Romford on Thursday 9th December, where they’ll be in the grand final of the venue’s recent Battle of the Bands contest. Good luck fellas! Hear more at www.myspace.com/memoriesforgottenofficial. 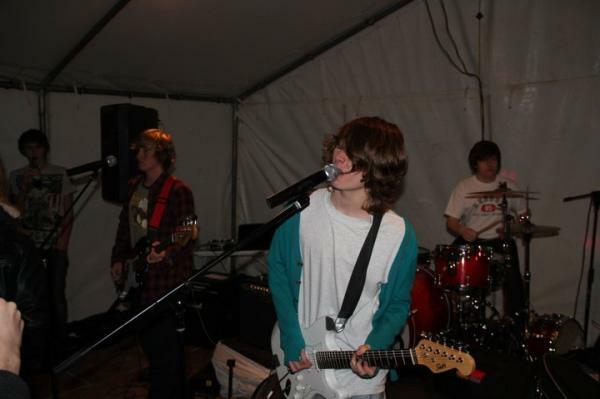 Also joining us down the line was Luke (above centre) from locals False-Heads. The trio formed earlier this year and have been gigging regularly across Essex and London since. They can next be seen playing Bar Lambs in Southend on Friday 10th December, alongside fellow Curveballs buddies the FiftyFours, with plenty more gigs to come in the new year. To find out more, head to www.myspace.com/falseheads.